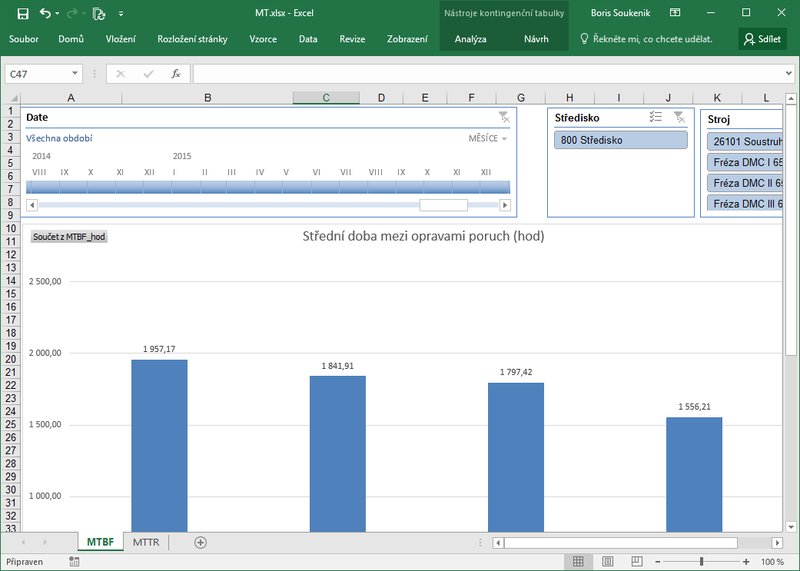 Built-in reporting to MS Excel, visual designer for reporting, online data viewer with computational functions for grouped data. Built-in online data viewers allow basic data analysis by various filters, sorting or data grouping, calculations, conditional formatting and by data export to MS Excel. Built-in reports to MS Excel allows all calculation and formatting capabilities of this environment. Template files are stored in the database and are executable only on limited data, based on dynamically assigned filters and access rights. Outputs can be locked. Combining database fields into MS Word. Built-in print builder allows to prepare any complex print layout using visual tool by the trained user directly. Table view on SQL layer with the calculation for grouped data.